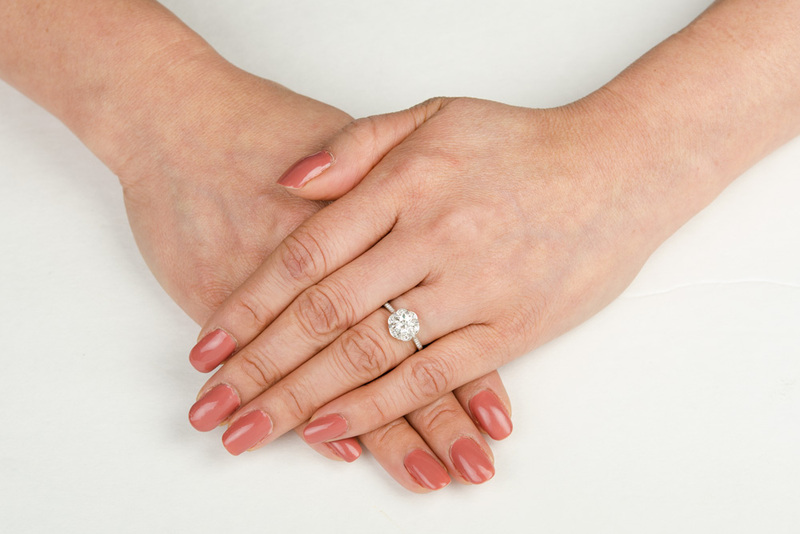 A rare and stunning Old Euro Cut Vintage Style Engagement Ring, set in handmade platinum, and adorned with diamonds. 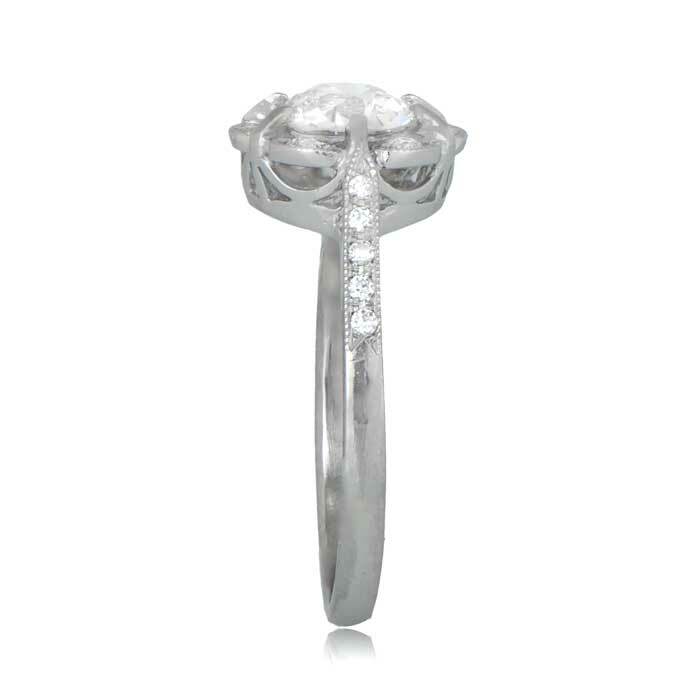 This Art Deco Style ring has stunning filigree under the shoulders and lower gallery. 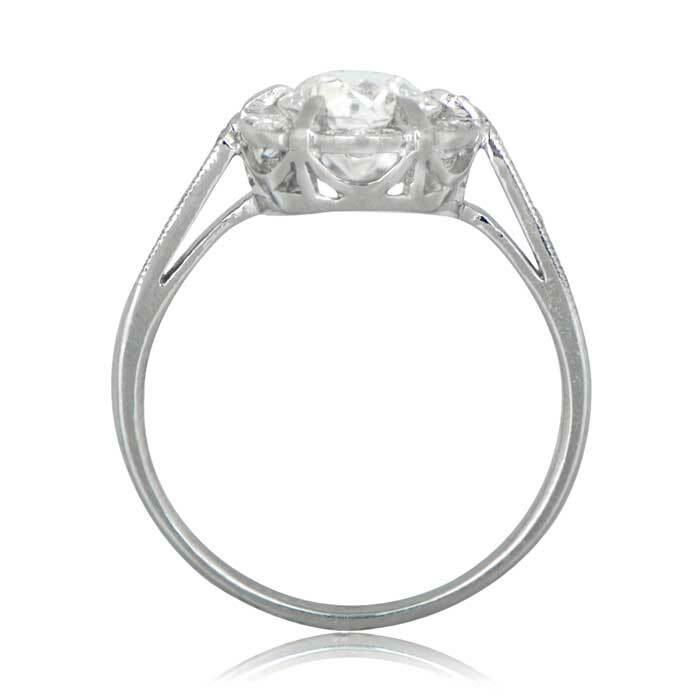 The center old European cut diamond is prong-set above the beautiful surrounding diamonds. 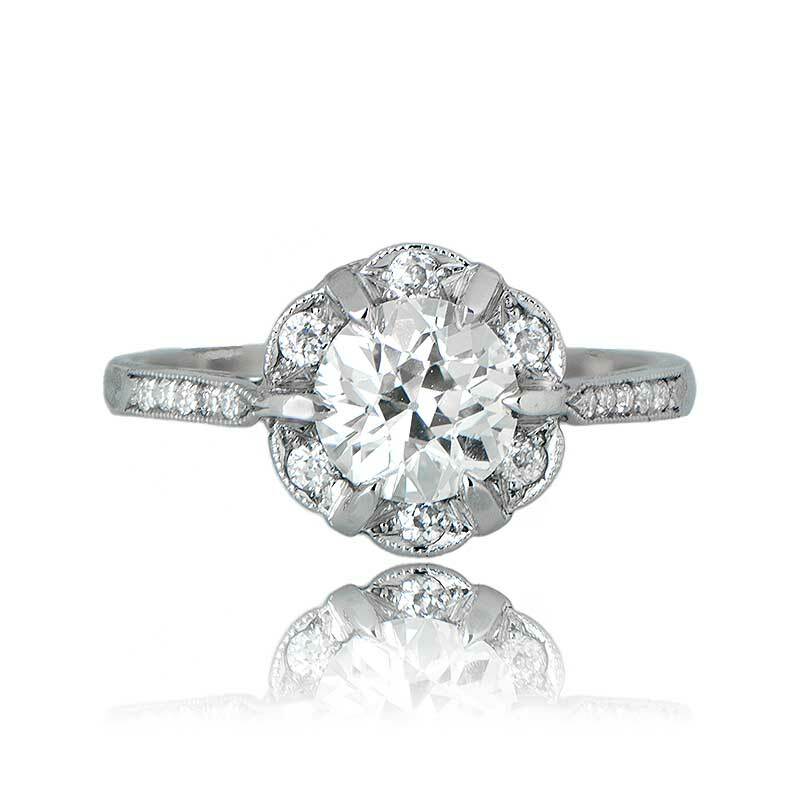 The diamond was cut circa 1920 and is approximately 0.94ct, I color, and VS1. 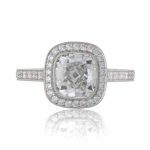 The sixteen smaller diamonds have a combined weight of approximately 0.40ct, making the total diamond weight in this ring approximately 1.34 carats. 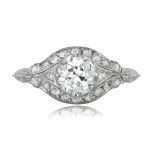 SKU: 12033 Categories: Old European Engagement Rings, Vintage Engagement Rings - Contact us and request additional pictures.